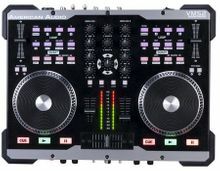 AMERICAN DJ VMS5 Table Top MIDI Controller with user configurable soundcard with D- Core Technology. 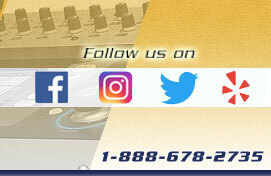 AMERICAN DJ UNI-LTS Laptop Stand with Sound Card Shelf. AMERICAN AUDIO UCD-100MKIII 19" Single CD and USB Player. Jog Wheel, XLR Outputs, ID3 Tags, Record feature on USB.